Potato pancakes, also called latkes, are a traditional Chanukkah treat. For sweetness, colour and general good stuff, carrots have been added. Preheat the oven to 160C with the baking tray & rack inside. 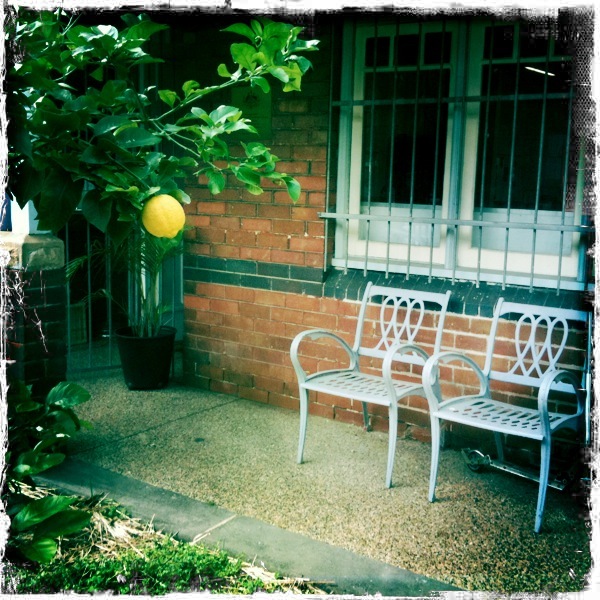 To make the apple sauce: Juice the lemon & quarter & core the apples & slice into 1cm thick chunks. In the medium saucepan, combine apples & half the lemon juice. Cook over low heat with the lid on, stirring occasionally, until apples are soft & beginning to burst, for about 15 minutes. Pass through the food mill & divide among half the sauce bowls. To make the latkes: Peel potatoes and coarsely grate into a bowl. Add the remaining lemon juice and mix to incorporate, combining each time you add another lot of potato. Meanwhile peel and coarsely grate the carrots, and then in the medium bowl, lightly beat the egg and add in the carrots. Stir in the flour with a little salt and pepper and mix well. Scrape out the potatoes into the colander set over a large bowl and squeeze to press out all the starchy juices. Combine with the carrot mixture and mix well. In the large non-stick frying pan, heat the oil over medium heat. Scoop up 2 tablespoons of the potato mixture in to your hands and shape into tightly compacted disks. Carefully lower into the hot oil one at a time – do not crowd the pan, you may have to do this in several batches! – and cook until browned on one side and turning crispy at the edges, about 3 minutes. Turn the latkes over with egg slice and brown the other side for about 3 minutes again. Carefully transfer into the oven tray to keep warm and drain and repeat with remaining latke mixture until all are cooked. Season with salt and pepper. Divide between serving plates & spoon the sour cream into the remaining sauce bowls with a snip of chives on top. 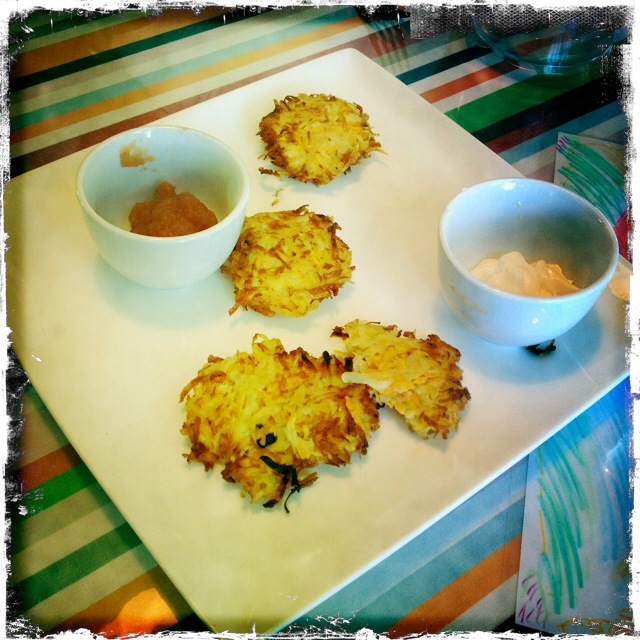 Add them to the plates with the apple sauce & serve the latkes hot. Lovely twist to a traditional dish…. I once ate latkes with molasses as accompaniment and the combination was sensational.